A top contender for a new EU Chief Prosecutor post, following her fight against corruption in Romania, has been put under formal investigation in that country – for alleged corruption. Laura Codruta Kovesi, 45, is the European Parliament’s candidate to become the first head of the newly created European Prosecutor’s office. However, she has been indicted on corruption accusations after a six-hour hearing on Thursday, AFP reported. The investigations into her activities have reportedly included abuse of office, bribery and giving false testimony. The move looks set to damage further the already bleak relations between EU leaders and Bucharest, which holds the rotating EU presidency. 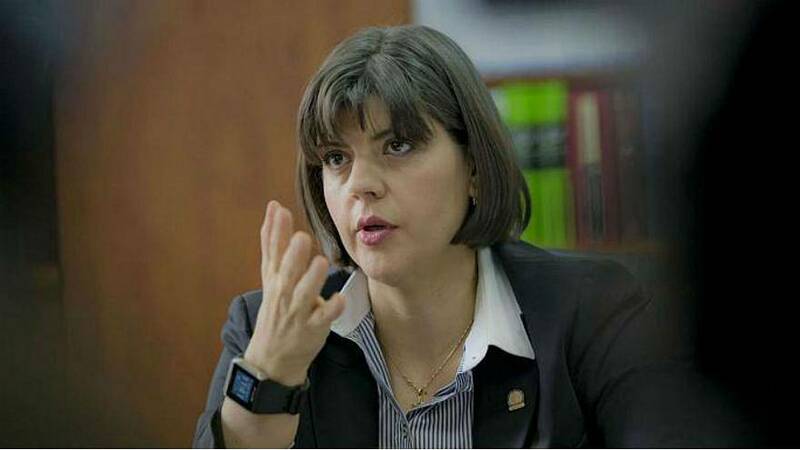 It means Kovesi is banned from leaving the country or speaking to the media. On Friday she reported to a police station in Bucharest, according to Balkan Insight. The new body which will now examine her case in Romania has been criticised for being subject to political influence. Kovesi’s candidacy for the top EU job has been opposed by Romania’s Social Democrat-led government. Last year she was controversially removed as head of the country’s National Anti-Corruption Directorate after five years in charge. During that time she helped convict a number of high-ranking officials, including Social Democrat leader Liviu Dragnea. Romania’s most-powerful politician was found guilty of vote rigging and corruption. Hundreds of other elected officials were also convicted of corruption offences, earning Kovesi many enemies. She spoke about her role in an interview with Euronews in 2017. In February this year, the European Commission’s number two, Frans Timmermans, praised Kovesi’s work. Romania is accused by critics of trying to weaken judicial independence and help politicians accused of corruption. The moves have brought widespread street protests against the government. Last November the European Commission cited the suspension of changes to justice laws and procedures to appoint or dismiss prosecutors, in a report which accused Romania of backtracking on key reforms against corruption. Transparency International ranked Romania as one of the EU’s most corrupt states in a report last year. The Romanian government has opposed her candidacy for the top EU post. Justice Minister Tudorel Toader has said she was dismissed in Romania not for targeting corrupt politicians, but because the body she led broke the law. Prime Minister Viorica Dăncilă has accused Western European leaders of “double standards”. Despite the support of MEPs for Kovesi, the European Commission and some member states have backed her French rival Jean-François Bohnert. Negotiations within the EU are ongoing. There is concern that tensions between Romania and the EU could lead the Eastern European country to follow the illiberal path of Hungary and Poland. What is the European Public Prosecutor's Office and will it help fight corruption involving EU cash?